Thank You To Our Supporting Organizational Members! 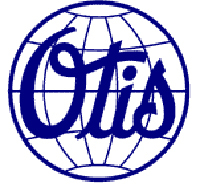 Otis elevators and escalators touch the lives of people in more than 200 countries around the world. We are both global and local, serving the needs of our customers wherever they live and do business. We are Bermudas only ThyssenKrupp Elevator distributor. Our certified technicians can install and service any ThyssenKrupp product. These include moving walkways, escalators, all types of elevators (including freight and residential), as well as PFlow vertical lifts. For a full list of our offerings, please see the products and services pages. We help customers determine which elevator system is most appropriate for them, install the system, and then stand behind the system by conducting scheduled preventative maintenance that will keep your elevators operating at peak performance. Should any elevator require immediate servicing, whether installed by Bermuda Elevator Systems Limited or not, our service team is available 24 hours a day, 365 days a year. Vator Accessories is an elevator supplier for scavenger pumps, fire key boxes, certificate frames, signage and more in the Chicago area. Power Climber Wind helps major wind turbine OEMs, owners and service providers manage their operation and maintenance costs by providing the most reliable access equipment and expertise to improve employee safety, productivity and retention. 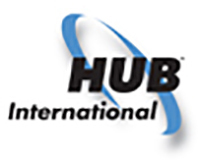 JM Associates/ Burnham and Co.
For over 40 years, JM Associates / Burnham + Company, a Division of HUB International Northeast, has been creating comprehensive insurance and risk management products and programs for the elevator industry. The majority of our employees have over 20 years of experience in arranging insurance for customers involved in various aspects of the elevator industry. Additionally, we are frequent speakers at elevator industry related seminars. Launched in 1977, EHC is a privately owned Canadian company with more than 20 distribution locations around the world. EHCs Head Office in Canada developed the worlds first recyclable escalator handrail that features built-in antimicrobial properties and the ability to display custom graphics. At our Engineered Polymer division in China, EHC develops custom urethane products for many industries including automotive. To meet customer production and lead-time objectives, EHC relies on its world class Enterprise Resource Planning (ERP) system. EHCs ERP system increases efficiency and improves service through controlled and accurate planning. Our commitment to escalator safety and engineering excellence led to the development of D-Flector escalator safety brushes, a gentle reminder to passengers to avoid dangerous side-step entrapments. EHC manufacturing facilities are ISO9001 and ISO14001 certified. Since 1985 Wurtec Inc. has set it sights on servicing the vertical transportation industry. Our greatest strength is our knowledge. With over 100 years of combined industry experience we are ready and prepared to assist you with your elevator business needs. Being a MANUFACTURER and DISTRIBUTOR our range of capabilities are extensive. As a manufacturer we can, and do, supply many non-stock custom designed and built specialty tools. Being an authorized distributor for the leading companies that supply power tools, safety equipment, hoisting equipment, storage chests, test and measuring tools, and hydraulic equipment to the industry shows the breadth of our product line. We are one of the global leaders in the elevator and escalator industry. 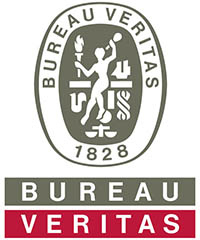 Founded in 1910, we have been committed to understanding the needs of our customers for over a century. We provide innovative and eco-efficient solutions for elevators, escalators and automatic building doors. Our objective is to offer the best People Flow experience by developing and delivering solutions that enable people to move smoothly, safely, comfortably and without waiting in buildings in an increasingly urbanizing environment. Harris Companies designs, builds, controls, and maintains plumbing, piping, process and HVAC systems for commercial, institutional and industrial customers offering complete Design/Build and Design/Assist services for projects that vary in size, scope, and complexity. From stadiums and concert halls, to historic landmark buildings, to hospitals and industrial facilities, Harris Companies works closely with entire construction project teams and draws on the expertise of a skilled, diverse and dedicated workforce. 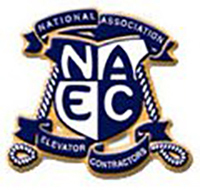 Receive high-quality professional services, from Indy Elevator LLC based in Indianapolis, IN. Whether your project is large or small, our team of experts can provide the resources and solutions you need to get the job done right. Our track record for consistency, timely service, and subject matter expertise make insurmountable tasks possible to overcome. Our multifaceted company is here to assist by providing a wide range of services at affordable prices. To speak with an experienced member of staff, simply contact us in Indianapolis, IN at your earliest convenience. 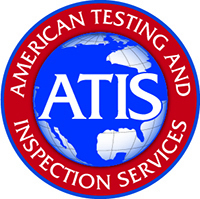 ATIS was founded upon American ideals and has a simple mission to become America's premier elevator inspection business by empowering employees to deliver timely and reliable service with integrity and professionalism. ATIS now employs some of the most experienced and dedicated employees in the business. Since 1971, MEI specializes in the Manufacturing, Installation, Modernization and Servicing of various types of elevators. Our manufactured equipment is found in every U.S. state as well as several foreign countries. We have custom built elevators throughout the world. When a tough job calls for a custom built solution, call us to experience the MEI difference. Each elevator produced by MEI is individually engineered. At MEI-Total Elevator Solutions, we pride ourselves on delivering expert engineering, quality equipment and excellent customer service. 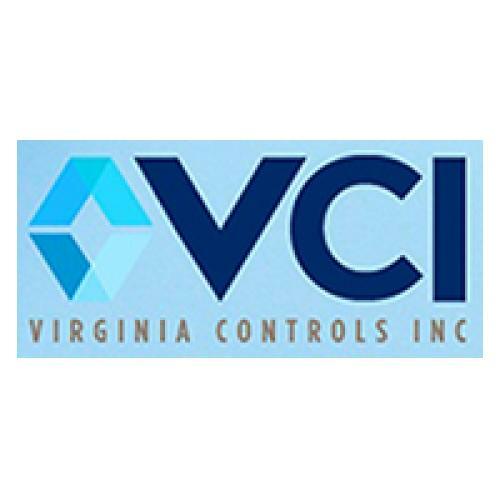 Virginia Controls is one of the oldest and most respected independent controller manufacturers in the country. With more than 100 years cumulative design experience in elevator controls, our technical staff custom-designs our product to meet your project specifications. Reliability, simplicity and ease of installation are the hallmarks of a Virginia Controls product. Linking safety and stability in landmark structures. Prysmian Group elevator cable technology is deployed in some of the world's most famous structures. That includes specially engineered cables which allow the elevators in the tallest man-made structures in the world to be among the fastest and safest on the planet. 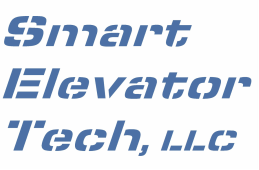 Smart Elevator Tech, LLC has gained a reputation for the excellence of its product quality and customer service. In-stock standard products, product customization, and product education are all key parts of its offerings. As a loyal Wisconsite, Blaska is proud that Smart Elevator Tech, LLC manufactures all of its products in Waterloo, Wisconsin. Smart Elevator Tech, LLC is headquartered in San Francisco, CA. Back in 1930 it seemed like a good idea way to use the resources of a tiny, two-person machine shop to fabricate parts for friends in the elevator trades who couldnâ€™t get replacement parts from the major elevator companies fast enough. And it was. Adams Manufacturing quickly established itself as the go-to resource for elevator mechanics who needed parts fast. Armed with a growing force of skilled employees and a plant filled with machine tools, Adams Manufacturing evolved into Adams Elevator Equipment Companyâ€”and we never looked back. 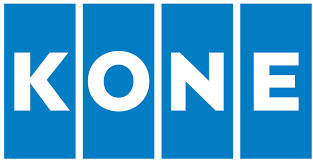 We soon became the nationâ€™s leading manufacturer and distributor of quality replacement parts for all major brands of elevators and escalators. The product line grew to include elevator fixtures and components, polyurethane rollers, safety equipment, elevator and escalator handrails, power tools, instruments and hydraulic oilsâ€”the broadest product selection around. Founded in 1910 by C. J. Anderson and his two brothers, the company, CJA, developed and manufactured switches, interlocks and control systems for the fledgling elevator industry in the Midwest. CJA is now the leading manufacturer of water proof and explosion proof elevator components. This is not our heritage, but something that evolved because we saw a need in the industry and answered it, much as C. J. Anderson and his brothers did in the early 1900's. Elevator World, Inc. serves the global building-transportation industry. It employs specialists in Mobile, Alabama, and has technical and news correspondents around the world. The staff in Mobile is involved in editorial, production, advertising, circulation, marketing and administrative activities related to both print and online publishing. Products and divisions include ELEVATOR WORLD magazine; the EW SOURCE, the most inclusive directory for the international elevator and escalator industry; EW India, a quarterly magazine for the growing Indian elevator industry; the Educational/Book Publishing Division; continuing education and certification that includes at least six accredited articles published in the magazine each year; three electronic newsletters that reach more than 30,000 industry personnel; and an online network of websites visited by over 900,000 industry professionals each year. The Safety Code for Elevators and Escalators (ASME A17.1) requires that all elevators and escalators are to be equipped with a code data plate. The specifics of this requirement are found in Section 8.9 of the 2000 and later editions of the code to be used for inspections and tests. The requirement applies to all new, modernized and existing elevators, escalators, moving walks, dumbwaiters and material lifts. The requirements for code data plates became a part of the code in 1996. The Code Data Plate provides specific code information for the elevator inspector to reference the proper code under which the equipment was installed and/or modernized. Alterations must be specific and reference the proper requirements in Section 8.7. Plates manufactured by CodeDataPlate.com are designed to meet these code requirements. For over 40 years, SCS continues to be a respected and distinguished quality supplier of plastic injection molded, die cast, and metal stamped products. As an ISO 9001:2015 certified company, SCS is recognized as a responsive and professional supplier of many products, with a special emphasis in elevator products and signage. Utilizing an experienced engineering staff and Rapid Prototyping technology, SCS is also accredited with successful design solutions resulting in significant cost savings to our customers. Short lead times, in-house tool making, and cost effective methods provide additional solutions to our customers’ requirements. From proprietary products to contract manufacturing, SCS is your one-stop shop for all your die casting, metal stamping, injection molding and signage needs. Brugg Lifting produces hoist, governor and compensation ropes in Rome, GA USA, Switzerland and China. EMS' commitment is to provide the elevator industry with unequalied quality in terms of products and service from the time of quotation to delivery and installation throughout the life of the system. Standard Elevator’s company values reflect those of its founders: hard work, honesty and a commitment to excellence. At the heart of Standard Elevator lies a team of dedicated individuals, from all walks of life, who are passionate about their work and relish the opportunity to demonstrate their professional talents. The people of Standard Elevator are among the most knowledgeable, experienced and dedicated in the industry. The Standard Elevator team includes site engineers, field supervisors, project managers and factory certified installers. We maintain our relationships with our customers through a fully staffed service department to ensure continuous satisfaction for many years to come. We strive to anticipate the needs of our customers, to leverage our expertise, to constantly seek out new tools and technologies and to balance our broad reach with intimate service. We are proud that we have developed a reputation for quality and reliability and we look forward to the challenge of your high expectations. Castrol LubeCon provides automated lubrication equipment and engineered lubricants designed to protect escalator chains and traction elevator ropes while reducing technician time spent in pits, machine rooms, and hoistways and reducing lubricant spillage.